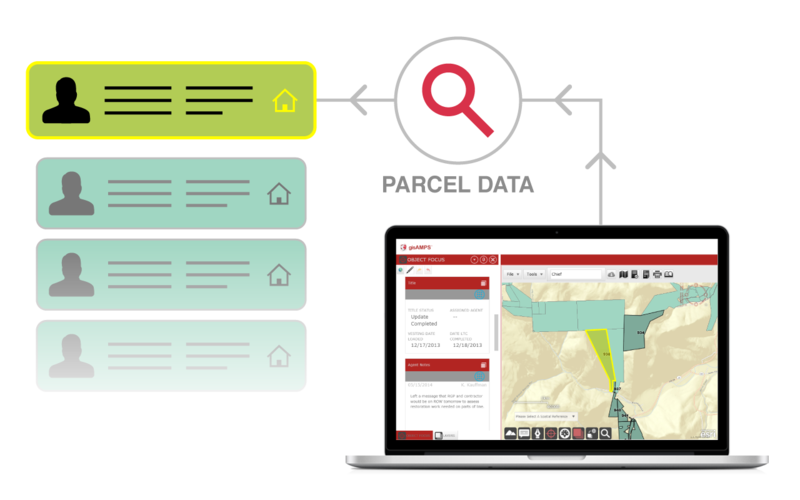 gisAMPS provides Web-based mapping capabilities that can be integrated with any of the geoAMPS suite of products, greatly enhancing the amount of your organization’s project information. It offers an intuitive view that is compliant with popular mapping technologies. In fact, geoAMPS is a Silver Tier Partner of the Esri Partner Network. Gain 3-D visualization of your project area, right down to the tract level, with gisAMPS’ color-coded maps and layers. 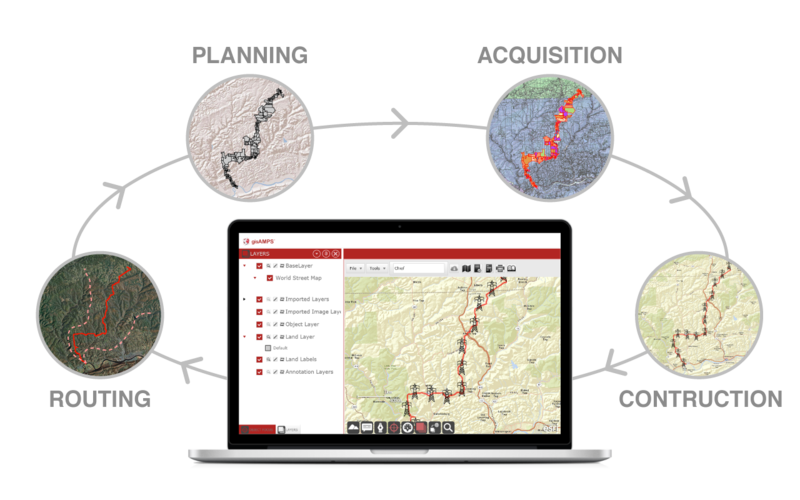 Acquire up-to-date information regarding topography, land uses, existing infrastructure and tracts, including Crown land, that will assist with project area selection, route planning and selection, re-routes, cost analyses and environmental assessments. 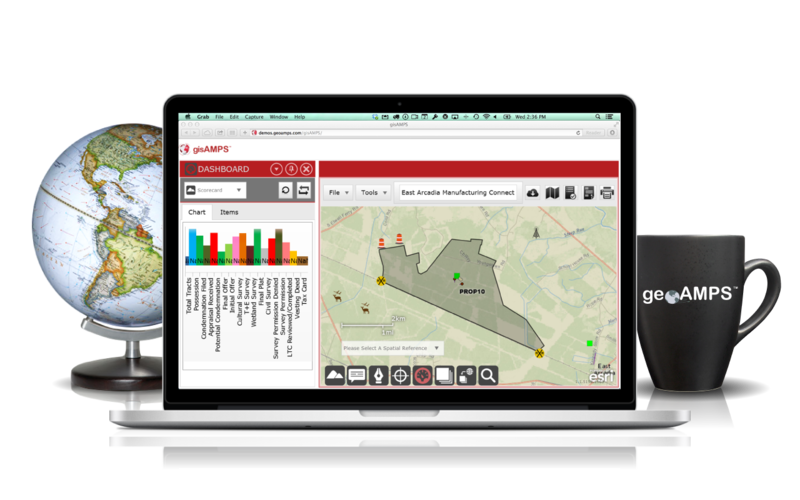 gisAMPS is a powerful tool that offers dashboard-like capability to monitor projects and assets in real time. With Web-based editing, gisAMPS can greatly increase efficiencies of any spatial editing. Keep your projects moving forward by tracking them through the planning, routing, acquisition and construction phases.